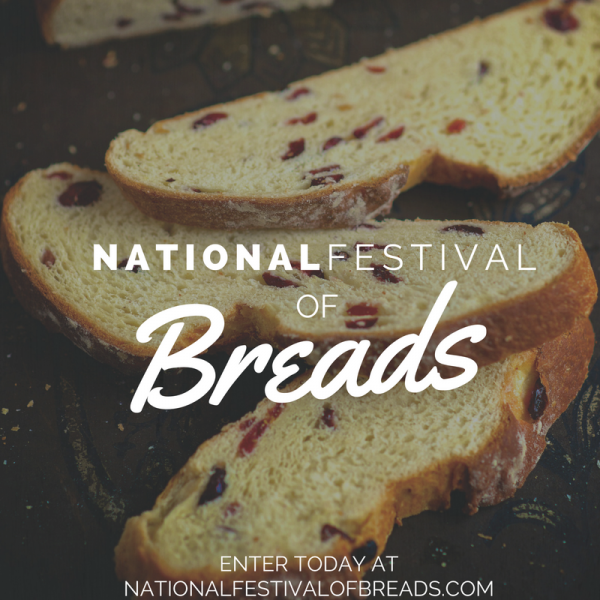 The National Festival of Breads – I get so excited for this bi-annual contest and cook-off! The contest is back for 2017 and I encourage all of you to roll up your sleeves, bake something special and enter. Hurry, the deadline is January 16th 2017. These inside tips and insights will help you enter and hopefully win the National Festival of Breads! This contest is divided into two divisions, Adult and Youth. The adult categories are: Holiday Breads, Rolls, Time-Saving and Simple Breads, and Whole Grain Breads. Eight finalists in the adult division will receive a $500 cash award and a trip to the cook-off in Manhattan, Kansas. There, one winner will receive a grand prize consisting of $2,000 cash, a $500 credit towards baking classes at the King Arthur Flour Baking Education Center in Norwich, Vermont as well as expenses toward travel and lodging (airfare, rental car, and hotel) to and from Vermont (up to $1,500). In addition, there are special awards in the adult category. These awards are chosen from all eligible entries and will each receive $200 cash. Best Recipe Using King Arthur Flour Sprouted Wheat Flour (50% or more sprouted wheat flour in recipe). Best Recipe Using White Whole Wheat Flour (50% or more white whole wheat flour in recipe). Best Recipe Using Soy Ingredient i.e. soy flour, soybean oil (also called vegetable oil or soy oil), soynuts, tofu, soymilk, soynut butter, soy yogurt, soy cereal, soy grits, soy cheese). Best Yeast Bread Recipe Using Corn ingredient i.e. cornmeal, corn syrup, fresh, frozen, canned corn, creamed corn, corn cereals, corn flour, cornstarch, grits or corn oil. The youth division is for ages 8 to 17 and is divided into two categories: Yeast Breads and Quick Breads. The overall grand prize winner in the youth category will receive a $500 scholarship and two runners up with each receive a $250 scholarship. 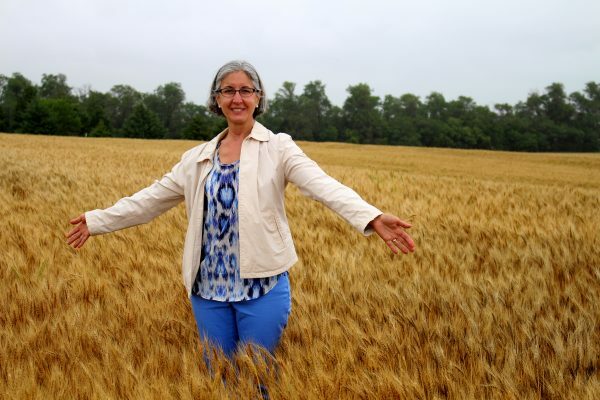 The contest was last held in 2015 and the grand prize winner was our very own Lisa Keys! Her recipe for Smokehouse Cranberry Cheese Bread is perfect to serve this time of year. I asked Lisa to share some insight on this contest with her fellow CCC members as well as some tips for success! What are some of the reasons you would tell fellow CCC members as to why they should enter the National Festival of Breads? What should someone think about when developing their entry? Do you have any tips for creating a recipe that will (hopefully!) get you into the cook-off? Do you have any tips for finalists when they are competing in the cook-off itself? I hope all of you are convinced that the National Festival of Breads is a contest that is not to be missed. This is baking season! Get those creative juices flowing and enter your masterpieces ASAP. We hope to see CCC members at the cook-off and in the winner’s circle again in 2017!